Head Start school garden in Marshfield, Mo. 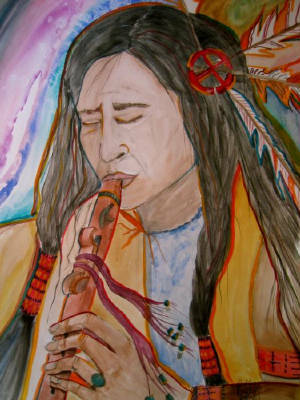 On Dec. 12th 2008 Leaders of the Mobile Chapter of the American Indian Movement, Sioux Nation Sundance, Fallen Branch Flute Co. and Sliding Horse Flute Co. were joined by members of the Rosebud Sioux Tribe, Prairie Band of Potawatomi, White Mounten Apache, and other native american tribes. They performed a 2 hour concert with flute music, traditional Shaw dancers, Traditional singers and drummers as well as some fun story tellers. The funds from the event purchased a hi-tech no weeds super garden for the local Head Start pre-school in Marshfield, Mo. The garden will provide a science lab for the children and also provide nutritional veggies for the centers daily meals. to discuss a potential partnership in growing thousands of dollars of produce to aid the opening of a new food pantry in Kimberling City by one of our Board members Janeyce Woods. Project Founder Rev. Dr. Steve "Yellowhand" was joined by the projects Kimberling City Project Director and Board member Janeyce Woods and other local volunteers. Mrs. Woods presented a 'Power Point' presentation to the group of about 50 Master gardeners from the Missouri Extention Center of Stone County. Following Mrs. woods presentation Rev. Dr. Yellowhand gave a orientation speech to the group incouraging their parcipitation on any level, ending his speech stating this phrase "We see people suffering.. we say that someone needs to do something to help those suffering people.. that is true... we are those people... and the time is now". 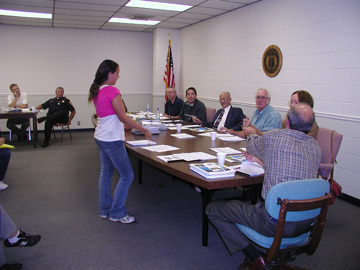 to discuss fruit tree planting project. The Trees Huggers -R- Us Founder and Director '14' year old Jenni Red Star Woman a Native American Prarie Band of Potawatomi and Lakota teen. Speaks to the Mayor and the Board of Alderman trying to encourage their help and input in creating a fruit tree's and shrubs garden in Marshfield City. The gardens will provide fresh fruit to the local pantry to help provide aid to families or individuals in a crisis in the area. The daily harvest for this project is really proving itself to be a worthwhile project. 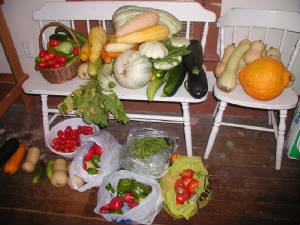 By Summers end 2009, over 3,500 lbs of food was harvested and delivered to various impoverished families in need.